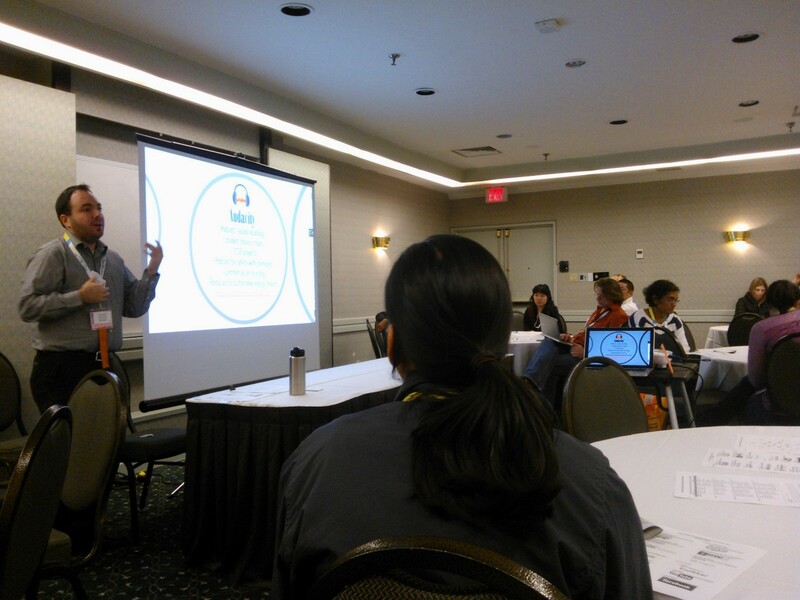 During TDSB’s board wide PD session I attended and presented at the STAO Conference (Science Teachers Association of Ontario). I attended some great sessions and got some real inspiration from Steve Spangler. He not only showed some great demos but shared many heart warming stories. Spangler stressed the importance of never knowing which moment in teaching inspires which students. Students may resonate with something that was trivial to you but sticks with them. His story involved a retired grade 1 teacher who ran into her former student during breakfast one day. The student, now with a family of his own, asked if she remembered the grade 1 solar system activity and that it inspired him. She didn’t remember at first and then upon his further explanation she remembers hanging planets on the ceiling and kids pretending to fly to them. She thought it was just a fun activity but the former student said it inspired him. The student was part of the team that worked on the Mars rover. Heading over to the STAO Tweet Up I got to meet some great educators that are also using social media personally and professionaly in the classroom with their students. Always great to get a real life visit with people you interact with online and consider a valuable professional development resource. I felt the presentation went well with many engaged educators who not only were listening to me but interacting and sharing their own ideas. I love when I can go present at a conference at learn from others in my own presentation. I think it shows a whole new level of engagement and respect for the attendees as valuable participants. Want to win an Apple TV or iTunes gift card? Click the link above and join Taught.it, make connections and share with fellow educators! Thanks John for the photo!